This is awesome! Do I just save them and print? Thanks!!! Hey Angie! I am in LOVE with your labels, but do you have any for weddings? Or know if there is a template to possibly getting a template for them as wedding invitations? I’m getting married this fall and the blue heritage mason jars are my centerpieces (among other decor) since my colors are light blue (aquamarine to match my ring) and green for gentlemen, brown for the ladies. Thanks for your wonderful creations!! Jennifer — I have some for weddings coming next month. Stay tuned!! Thanks! I love these!! The ones for the teachers will be AWESOME for Teacher Appreciation Week! Thanks again!! These are great! Have I missed, “It’s been a BALL working with you!”? We have employee appreciation day in May. These are the greatest idea! 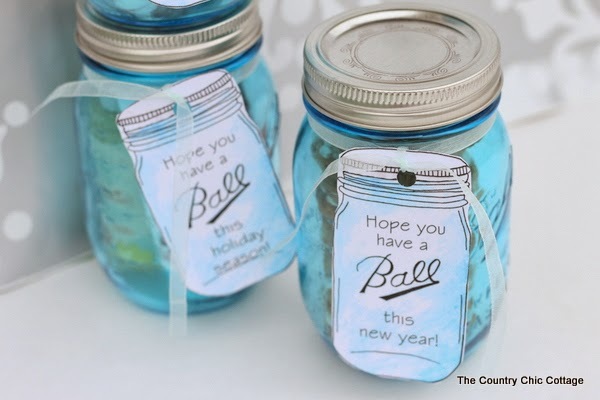 And can you think of a better party favor for a pinterest party? These are great! Any chance you could do one that says “Hope you have a Ball this Summer”? Thanks! I too would like to see “It’s been a Ball” working with you. My last name is Ball and I have a couple of friends (co-workers) that are retiring from teaching. I would also like to see It’s been a “Ball” being your teacher this year. Here is your teacher version: https://www.thecountrychiccottage.net/2013/04/teacher-appreciation-gift-ideas-in.html . The one for a co-worker is a great idea! I will get on that! If you need it and don’t see it published, feel free to email me! looking for a tag for volunteer or 4H? Love your Ball tags! I am wondering if you would consider doing one that says” Hope you’re having a Ball in your new home”. We are putting together housewarming baskets for families as they move back into their destroyed homes from wildfires last year here in Colorado. 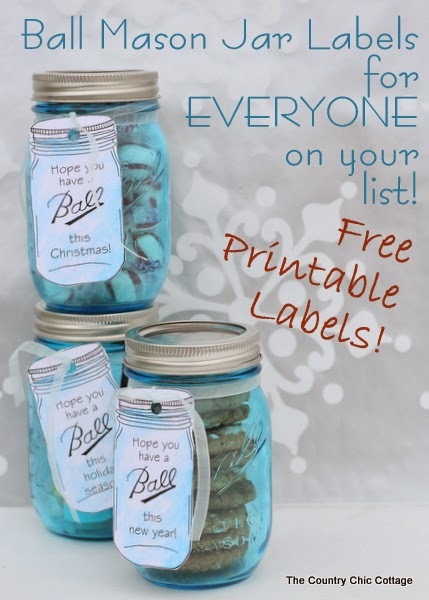 One of the gifts will be a Ball jar filled with goodies and I would love to have a tag that is so cute like yours! Thank you for your consideration. I LOVE your Ball Jar lables. Do you think you could make one that says “I hope you had a ball at my Sweet 16!”? My daughter is having a Cinderella themed sweet 16 and we were giving out ball jars filled with blue and white gumballs. 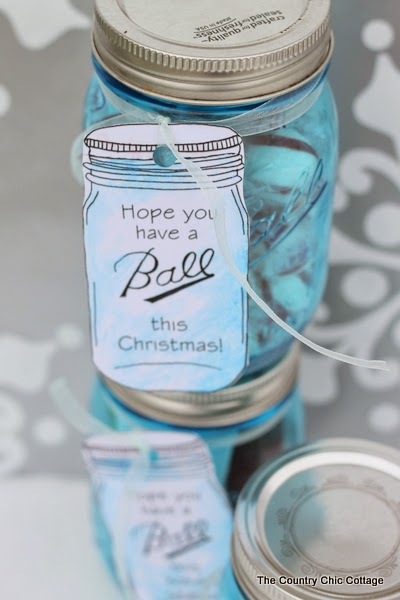 I love the idea that it is a “BALL” jar at a Cinderella “Ball” so your labels would be the perfect addition to our favor. Hi Angie! I realize that this post was from last year and you may have heard this a million times from others but I just wanted to point out a typo…on the nieces tag, it’s spelled “neices”. If you are like me, I’m sure it was just your fingers moving too fast! LOL Love your tags and your jar website…I’ve copied several ideas that I’ve found here. Thanks for all you do to bring fun and creativity to everyone! Tee hee! Actually I don’t know if anyone caught it!! I need to go back and fix this sometime!! Hi! Just ran across these on Pinterest. I’m having a birthday party for my daughter tomorrow. The ball labels are terrific! You may not be able to do this especially in time for tomorrow. Any possibility you have blank ones with just the Ball logo? Guess I’m a late bloomer! Need a blank BALL label but this TwiggStudios link does not work anymore. Can you send me a file, please? Thanks. I noticed it was not working! I have not found where it exists anymore. I will keep looking! 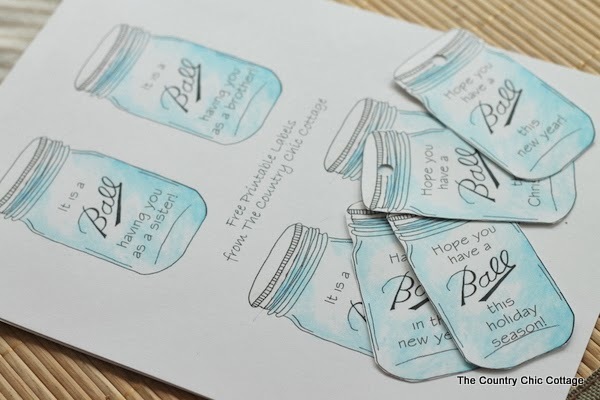 These Mason jar tags are so amazing and cannot figure out how to do for the party we’re planning. I’ll be doing a 50th birthday celebration and want these so bad for the centerpieces. I would love them to say “Having a ball since 1965”. I sent you an email. Thank you so much for these labels. They are so cute! My daughter would love to use these for her smores gifts. Could you possibly send me one to print . Love the ball jars. We are using them for her program fans as well. These labels are wonderful. I am a teacher’s aide and we love giving good conduct and wonderful work awards. Do you have any that would be positive for a teacher to give a student? I don’t! Sorry Margaret! Maybe in a future edition! I sent you an email, but I was wondering if you could make a template that says “Have a Ball in the Fourth Grade!” I’m a teacher, and I’m doing a mason jar theme in my classroom. I’d like to take the little mason jar template you have and use those to put on my door for the first day with their names on them. The template is not on the website I used any longer! Niece is spelled wrong on the label.